The Bearding Ladies Quilt Group! Announcing The Bearding Ladies Quilt Group! Hey all, Christine reporting here! 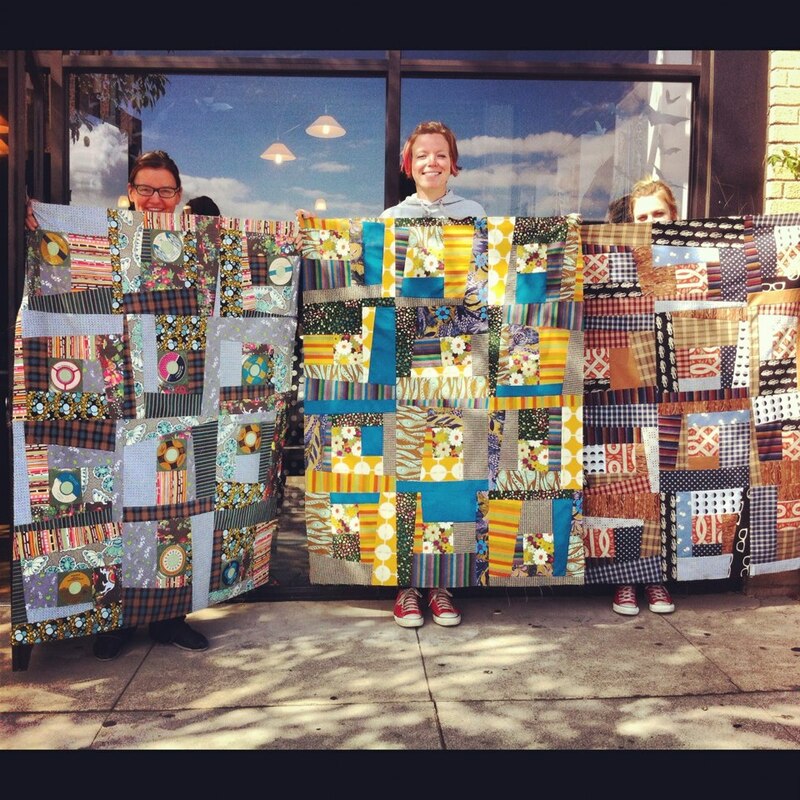 We are SO excited to announce that we are starting a monthly quilt meet up at Sew L.A.!!! We will gather the third Monday of each month from 6:30-9:30pm and talk quilts! It’s a place to bring finished projects to show and tell, share your favorite quilting tips, trade ideas and techniques, learn new skills, and get input on your work in progress. The Bearding Ladies quilt group meetings are free and open to everyone! Please join us! So, you might be wondering, how did a quilt group get started at Sew L.A., the land of the garment seamstresses? Well, here’s how it went down. First we had Rebecca Prange, our lone quilter in the bunch. Then came Devon Iott, another quilter in the teacher line up. Next thing you knew, Shaerie, Haley, Hollye, and myself were all quilting! I’m not sure what happened! I know I’m enjoying a completely different style of sewing from my usual garment construction, and perhaps that’s true for all of the other new quilters in the house too. No matter what got us going, we are now all quilters. It’s a slippery slope! Next, we had to think up a name. Devon and Haley started looking up quilting terms and after some back and forth, we all loved the word bearding. What is bearding? Bearding is a term for when the batting comes through to the right side of your quilt. It’s not a good thing, and it suited the bad-girl vibe we were after for our posse. Pair bearding with the word ladies, and well, it goes from a bad-girl vibe to something even worse. We were smitten. Of course, every group needs a good logo and mascot, so we called upon Hollye, our resident graphic designer and she developed our bearded lady, complete with beard (of course) and since we’re ladies, her beard is topped off with a delicate bow. Again, we were in love. So with our name, logo, and times set, it’s now time to get these going! Please join us for the first of what will hopefully be many quilt meetings, Monday January 21 from 6:30-9:30pm. We hope you come, bring ideas of what you’d like this group to be, and of course, bring quilts, tips, works in progress, and anything else you’d like! See you there!